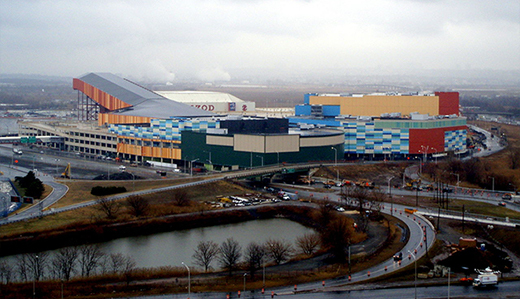 The American Dream project is a retail and entertainment center that remains under construction at the Meadowlands Sports Complex located in East Rutherford. Thanks Bill Spadea for having me on the New Jersey 101.5 to talk about the American Dream Meadowlands debacle…. Initially proposed in 2003, the project’s first developer went bankrupt and the second was forced to surrender control after losing financing. After sitting idle for two years, a third developer, the Triple Five, was brought in to complete construction in 2011. The developer now claims that the American Dream Meadowlands mall will be completed in 2017 — with one caveat: They’ll need $1 billion in bonds to be sold by government entities to provide the remainder of the financing required to complete the project. Triple Five, headquartered in Canada, is a multinational development and finance corporation with offices located across North America and around the world. It’s perhaps best known for developing, owning, and managing the world’s first and second largest tourism, retail and entertainment complexes; the West Edmonton Mall in Canada, and the Mall of America in Minnesota. Triple Five’s inability to secure this final financing without government assistance should be seen as a sign of the massive risk and excessive cost associated with the project. After all, who in their right mind would want to invest in a venture that is more than a decade behind schedule and has stalled twice due to nervous investors and ballooning costs? The latest financing proposal seeks to have the New Jersey Sports and Exposition Authority sell $1 billion in government bonds to help finance the remaining construction. 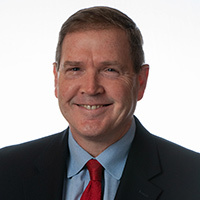 Under normal circumstances, after the mall opens, Triple Five would pay the state a number of taxes, including sales taxes, generated by the American Dream Meadowlands. Under New Jersey’s Economic Redevelopment Grant program, however, the state will take just a portion of that tax revenue and pass the rest onto the bond investors to pay back the bonds. As a result, $1 billion in tax revenue collected at the American Dream Meadowlands mall will not be sent to Trenton to fund essential state programs, but will be diverted to the bond investors. This diversion of tax revenue will certainly leave a big hole in future state budgets. In addition, the Triple Five Group will not pay traditional property taxes on the complex for decades, instead making payments in lieu of property taxes (PILOT) to East Rutherford — although much of that revenue will also be used to repay the bond investors. Ultimately, East Rutherford residents will see little benefit from those PILOT payments, and their local schools will receive nothing under the agreement. It should be noted that New Jersey taxpayers have already paid a reported $80 million in road and infrastructure improvements in support of the American Dream Meadowlands project. In addition, the new mall will be located on valuable state owned land within the Meadowlands Sports Complex. Haven’t New Jersey taxpayers already provided enough resources for this private venture? Shockingly, at the same time that Triple Five is asking for a $1 billion subsidy from New Jersey taxpayers, it is constructing a multi-billion dollar sister project in Florida – American Dream Miami – without requesting public financing for construction costs. If Triple Five can afford to undertake the American Dream Miami venture before the Meadowlands project is completed, does it really need $1 billion of additional funding provided by Garden State taxpayers? Why should New Jersey taxpayers subsidize the construction of American Dream Meadowlands in East Rutherford when American Dream Miami will receive no such subsidy? At a time when shopping malls across the nation are failing and major retailers are losing ground to online sales, New Jersey politicians shouldn’t be so willing to give away the store to help the Triple Five Group complete its expensive white elephant in the Meadowlands. Why are New Jersey taxpayers once again on the receiving end of such a bad deal?